"Why does it seem that most people with AS also have a great deal of anxiety?" One explanation (among several) may have to do with abnormal levels of cortisol. Cortisol (the body’s stress hormone) may be a key component to understanding Aspergers, according to researchers. It is one of a family of stress hormones that acts like a ‘red alert’ that is triggered by stressful situations, allowing a person to react quickly to changes around him or her. In “typical” people, there is a 2-fold increase in levels of this hormone within 30 minutes of waking up, with levels gradually declining during the day as part of the internal body clock. 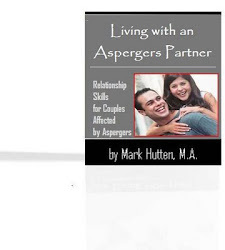 One study found that people with Aspergers don’t have this peak. This difference in stress hormone levels may be very significant in explaining why the “Aspie” is less able to react and cope with unexpected change. These findings are crucial, as they give us a better understanding about how some of the symptoms we see in Aspergers are linked to how the individual adapts to change at a chemical level. The study suggests that a person with the disorder may not adjust normally to the challenge of a new environment on waking, and this may affect the way he or she subsequently engages with the world as the day wears on. The researchers hope that by understanding the symptoms of Aspergers as a stress response (rather than a social-skills deficit or some type of behavioral problem), it could help therapists develop strategies for avoiding situations that can cause anxiety in people with the disorder. 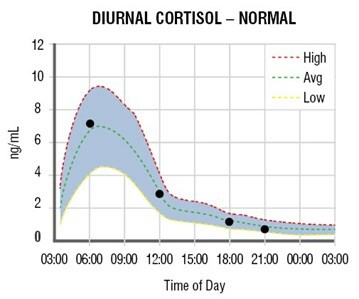 The next step in the research will be to look at whether people with other types of autism also lack a peak of cortisol after waking.